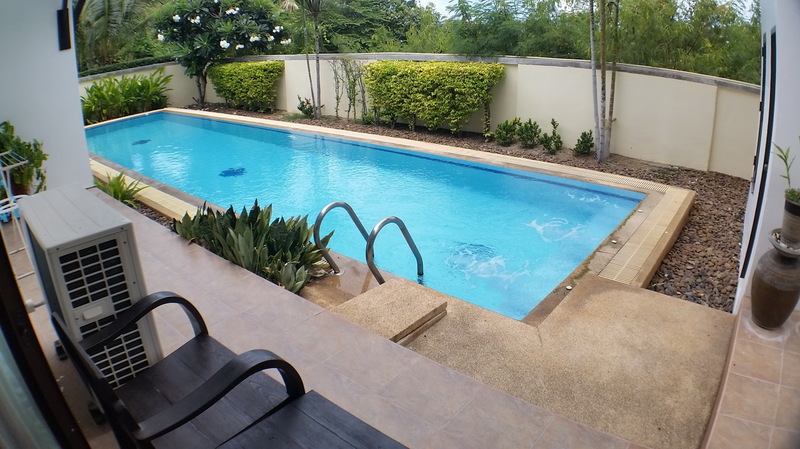 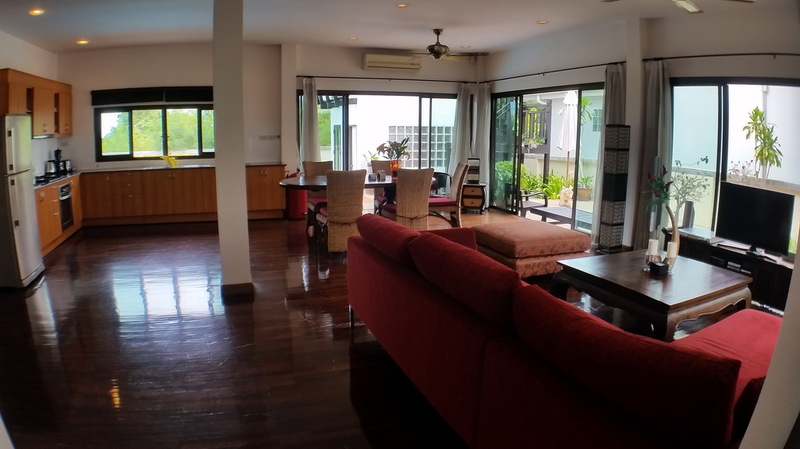 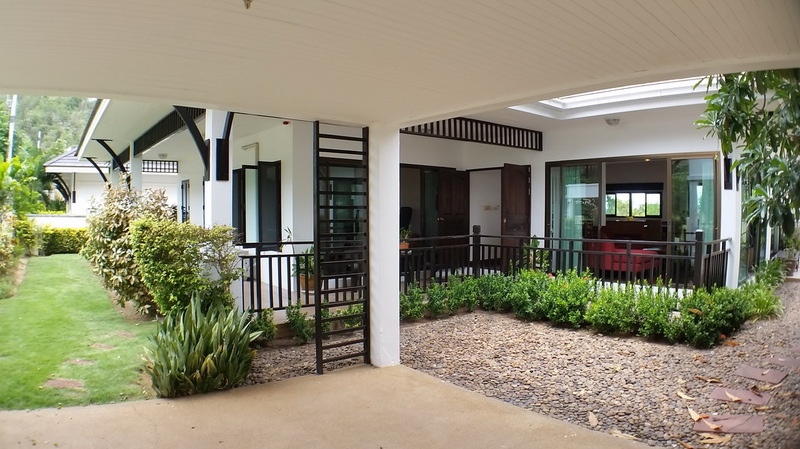 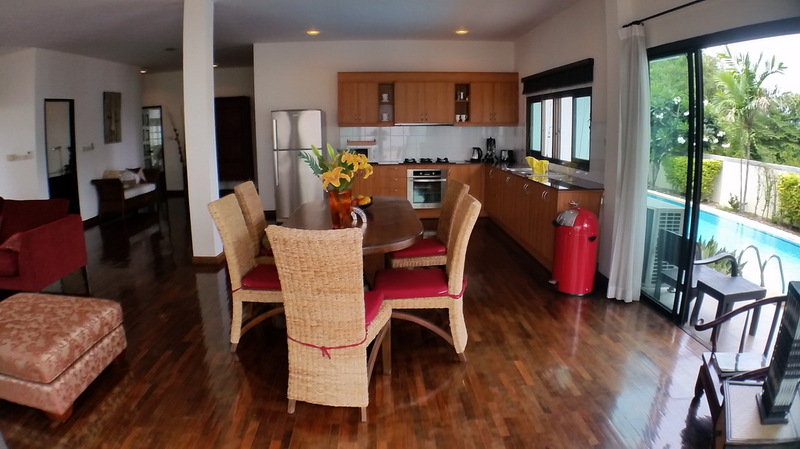 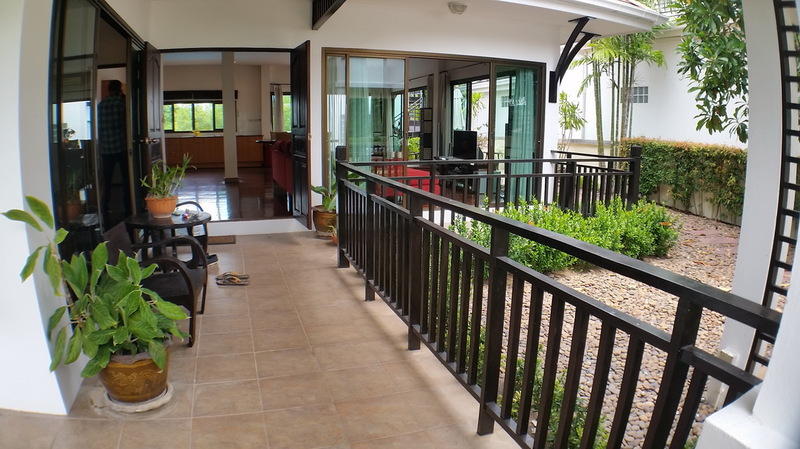 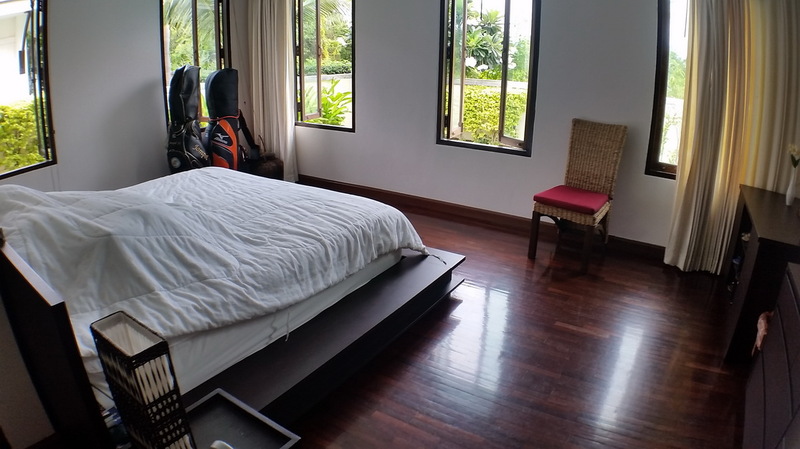 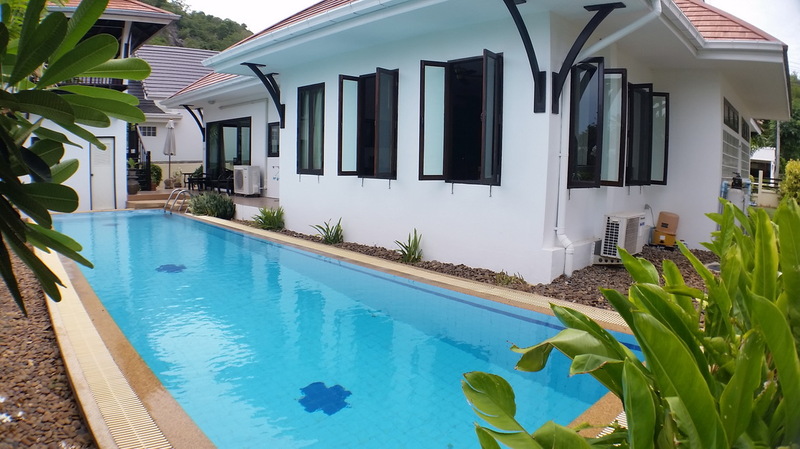 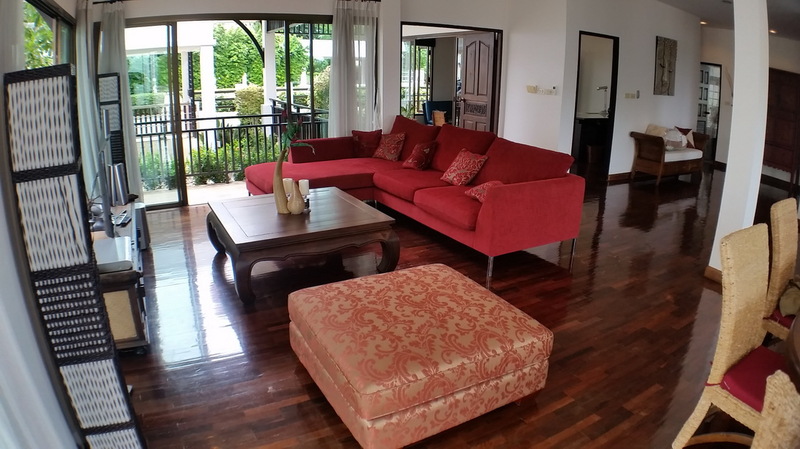 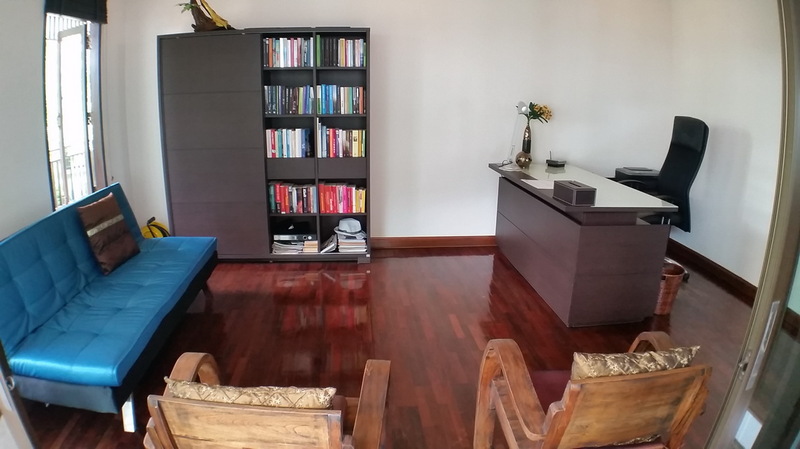 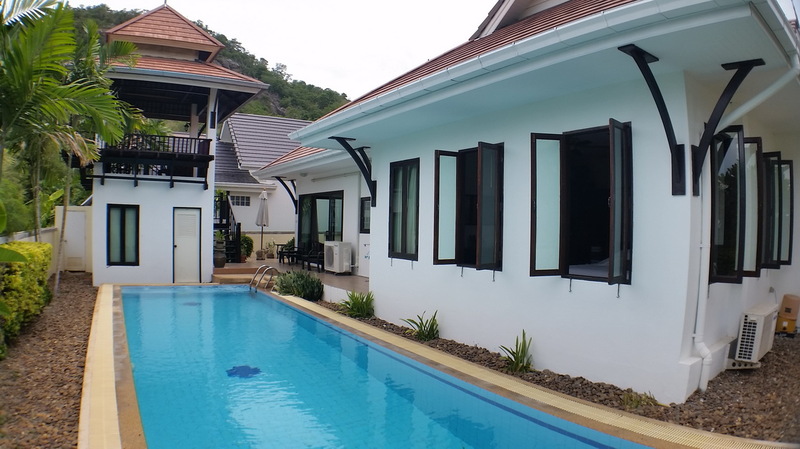 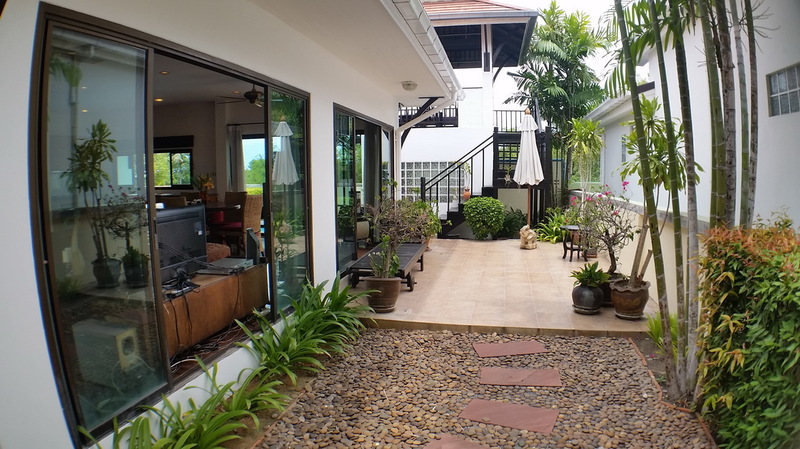 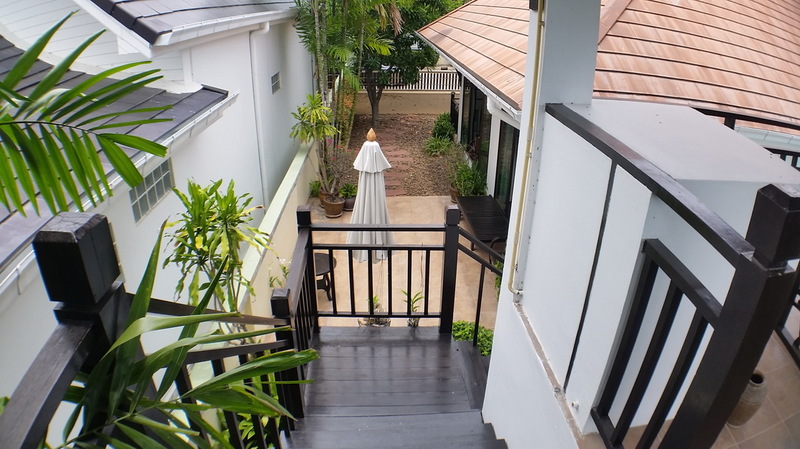 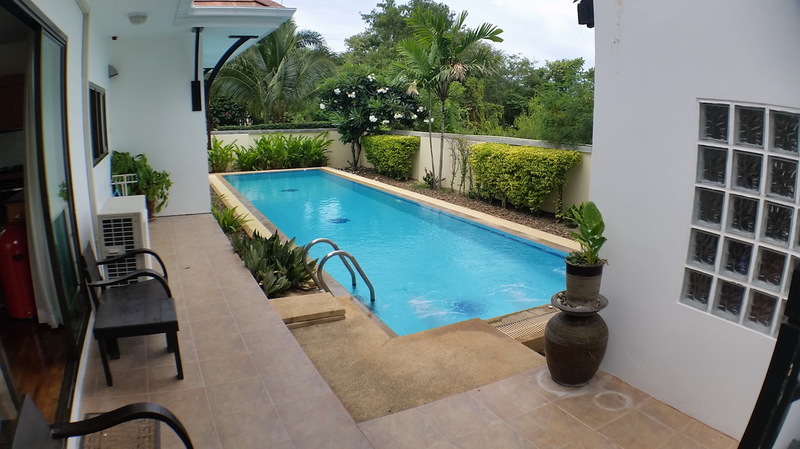 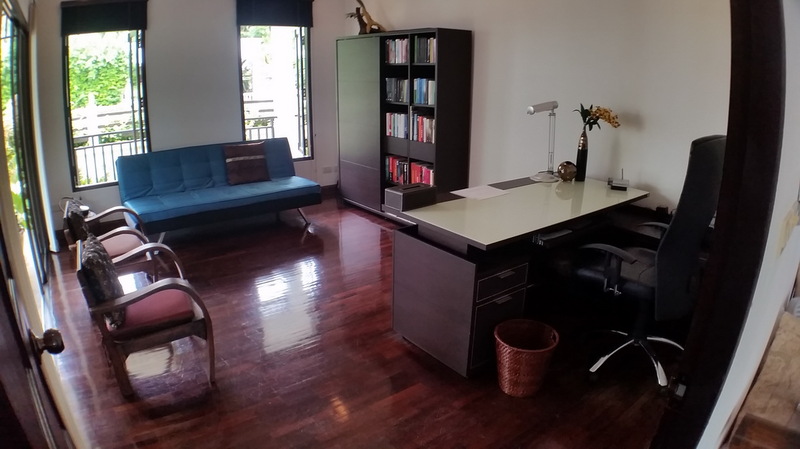 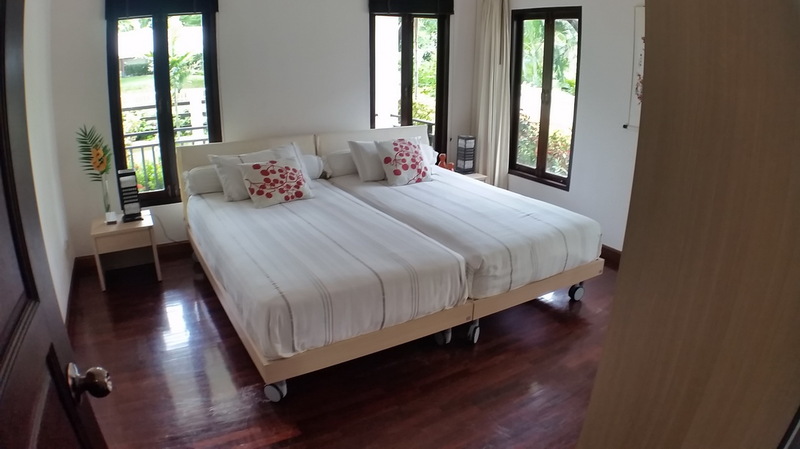 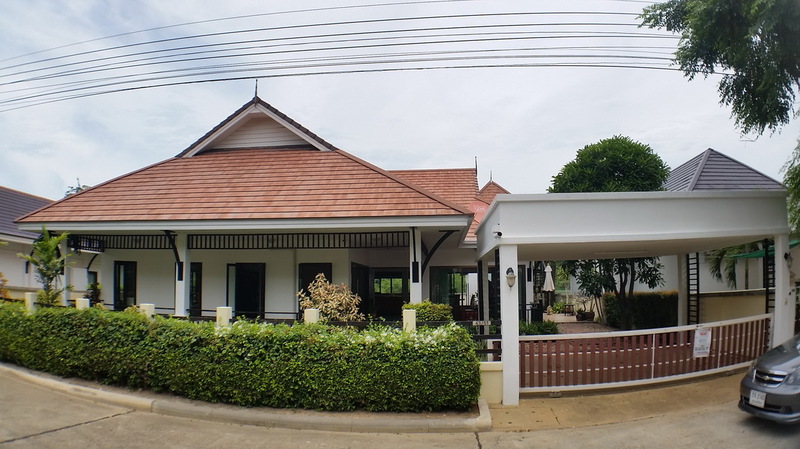 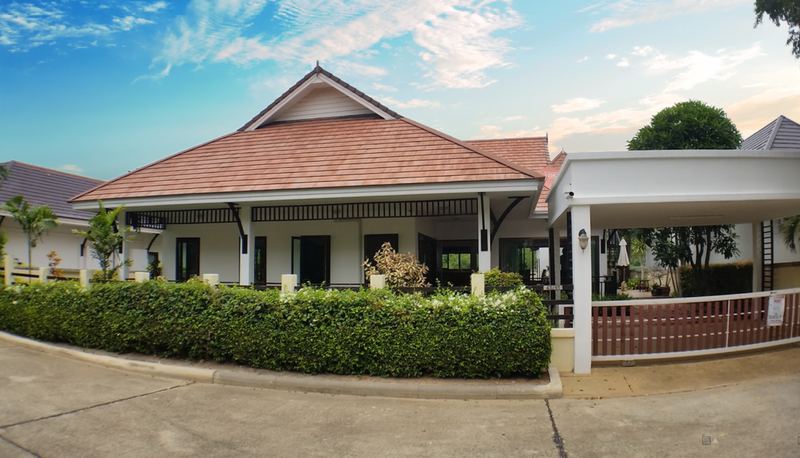 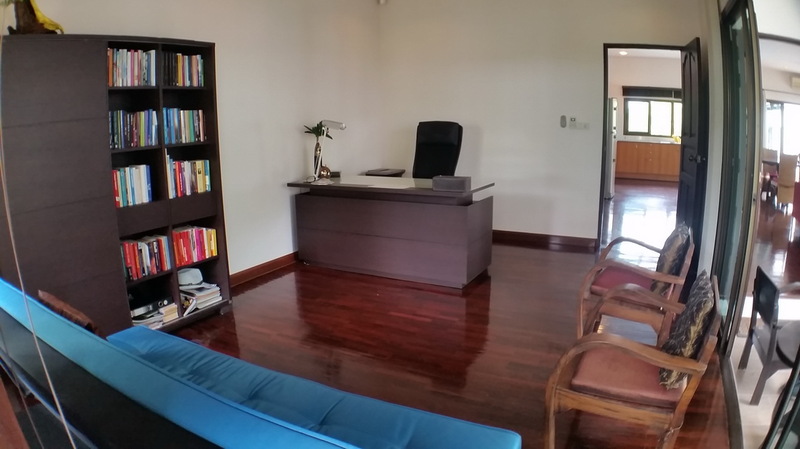 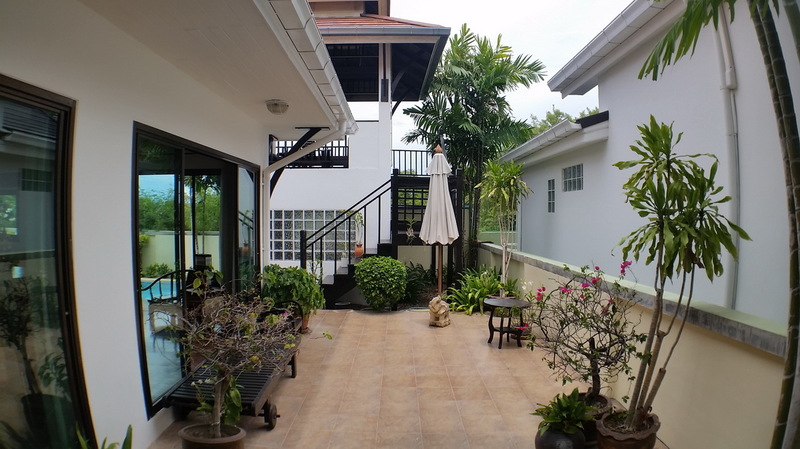 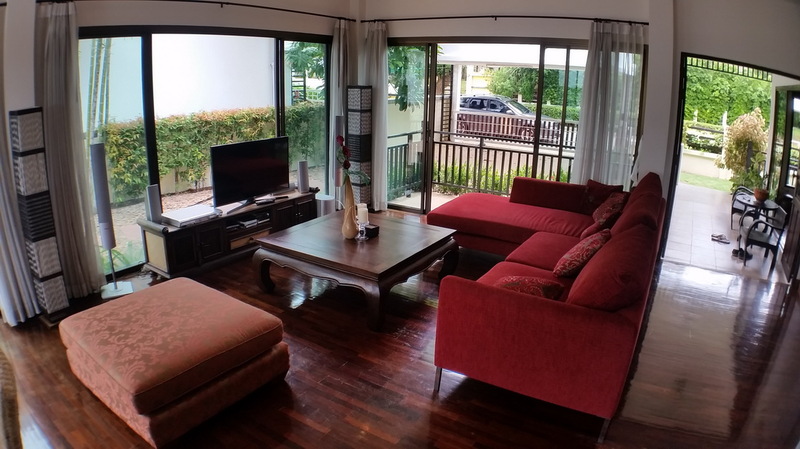 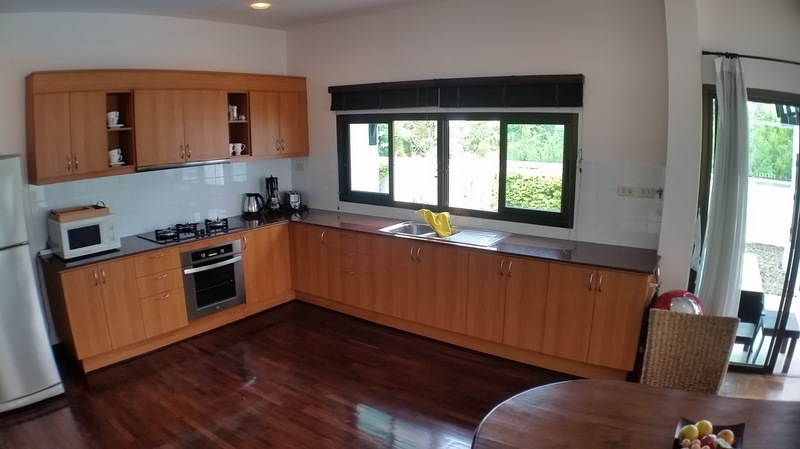 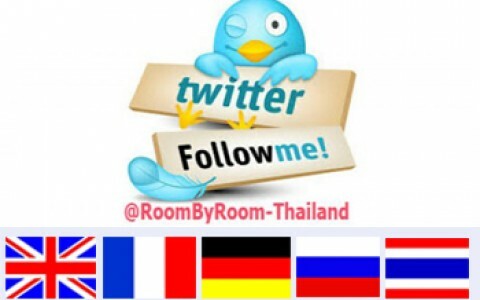 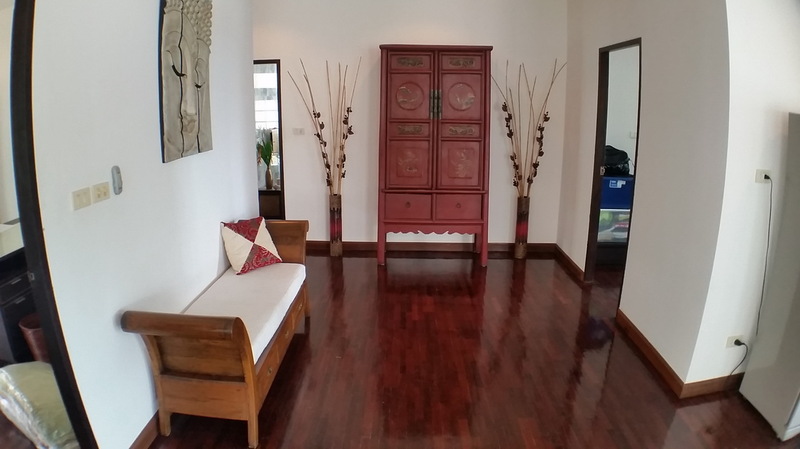 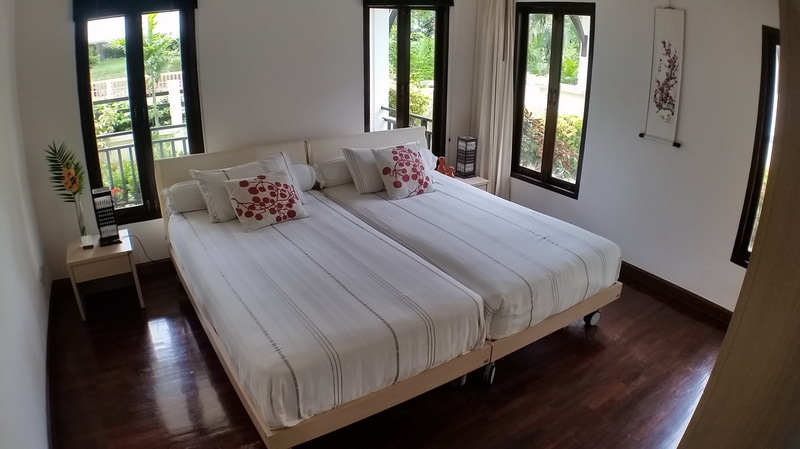 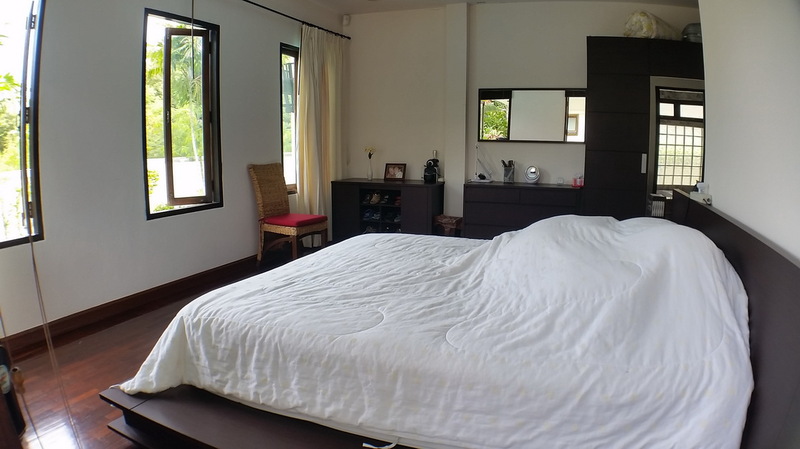 This excellent 3 bedroom bungalow is located in the best village in Hua Hin. 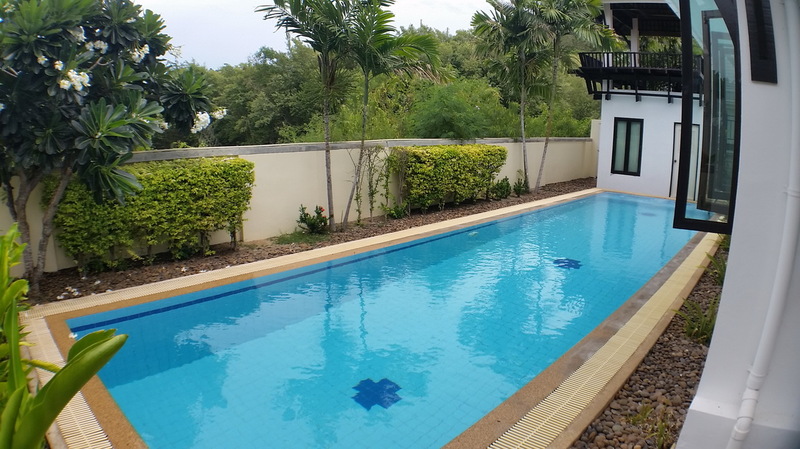 There is a large car port at the entrance, as you come through the front door, there is an excellent open plan living area, it opens up to the terrace area and the pool. 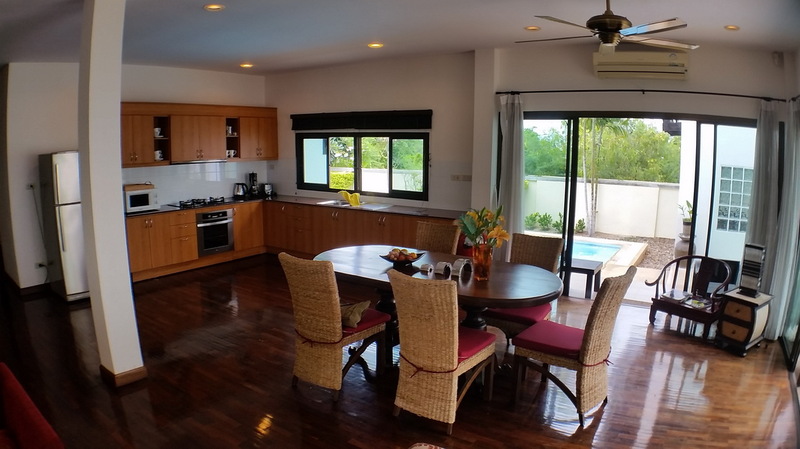 It homes the lving room, dining room and kitchen and gives a fantastic feeling of space and the breeze passing through is amazing. 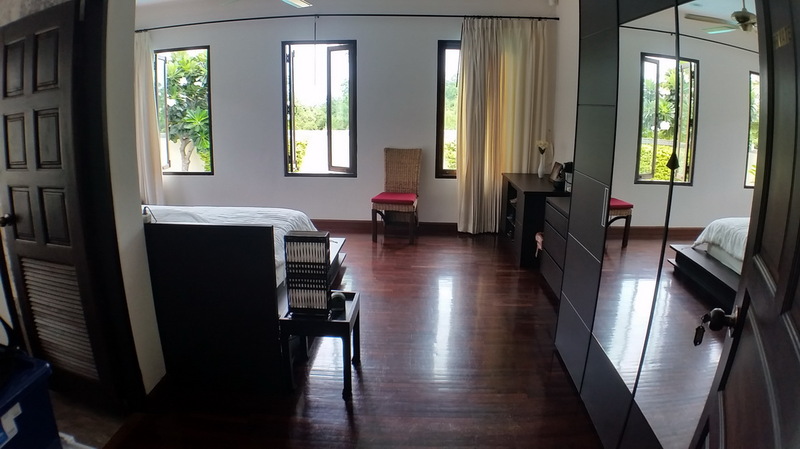 From the main living area is the 3rd bedroom, currently an office with sofa bed, the second bedroom and the guest bathroom. 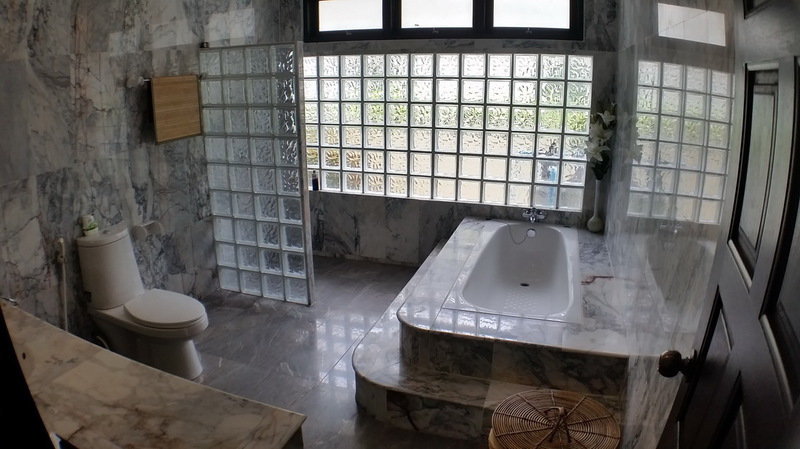 The master ensuite is very large with a large bathroom with bathtub. 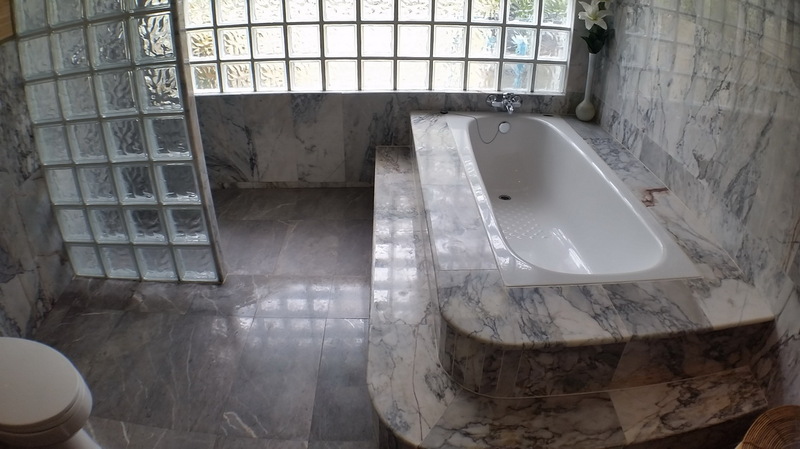 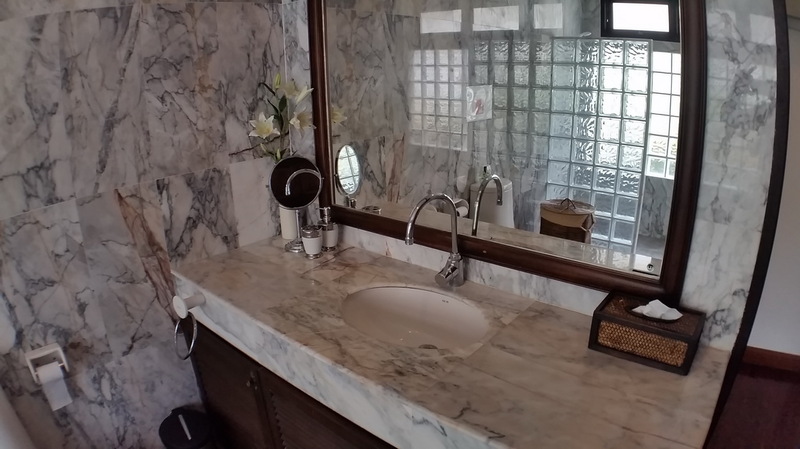 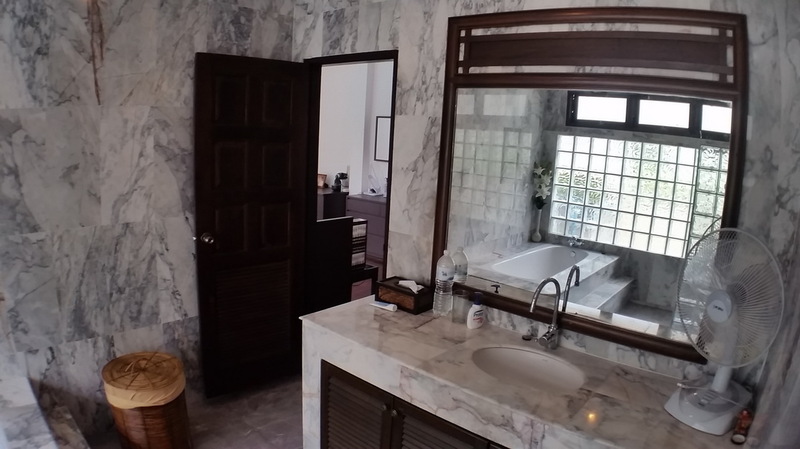 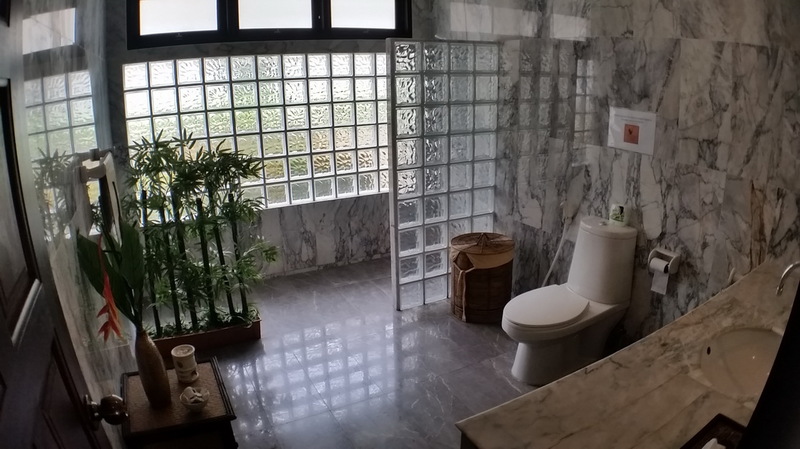 All the bedrooms come with AC and the bathrooms are tastefully done in marble. 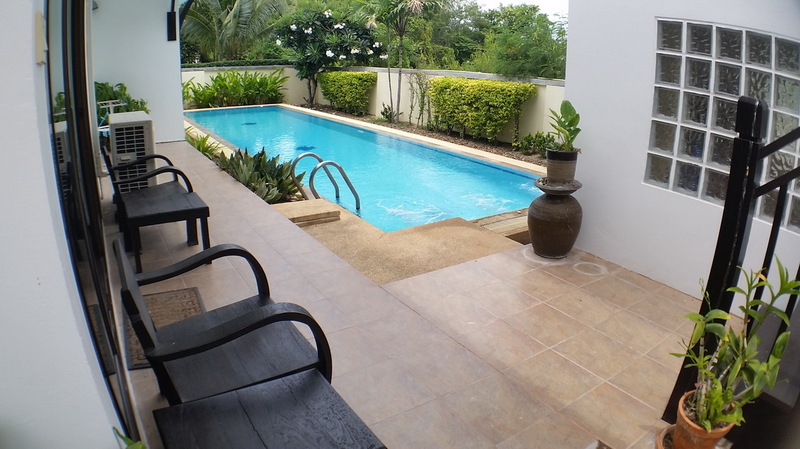 The large overflow swimming pool is complimented with an Ocean view sala. 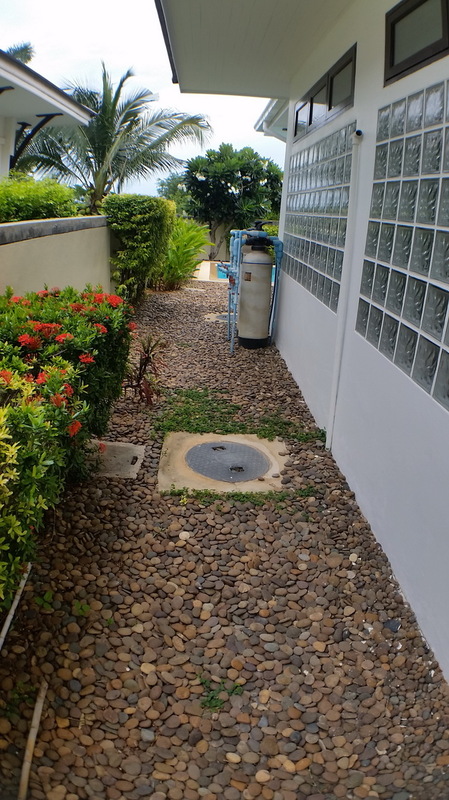 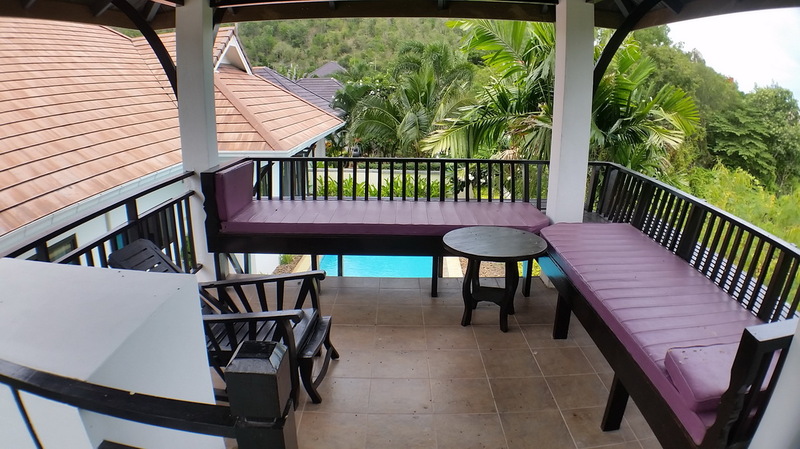 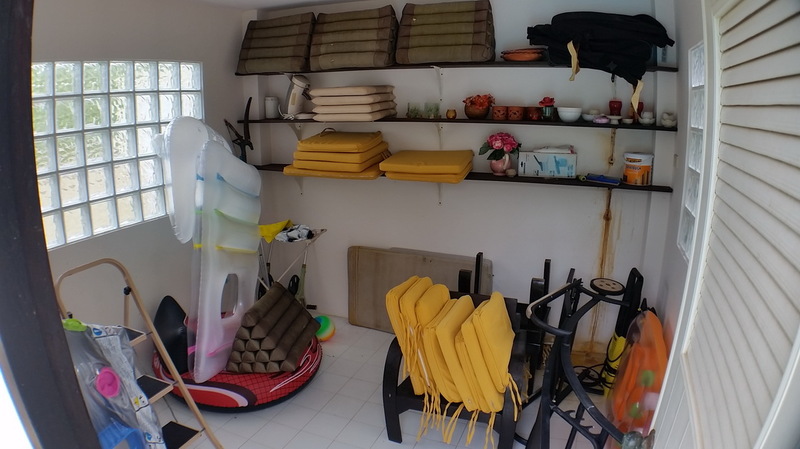 There is lots of storage underneath and a terrace to relax and unwind. 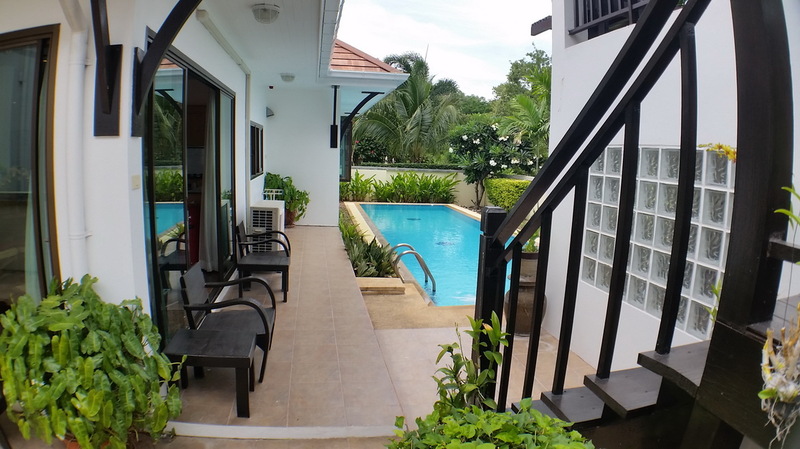 The village has 24hr security, communal pool, small fitness gym.